A couple of months ago, we saw leaked photos of a possible Huawei Mate7 Compact smartphone rocking a metal chassis and a backside-mounted fingeprint scanner – just like the currently available Mate7 has. Back then, rumor said that the device may make an appearance at MWC 2015. 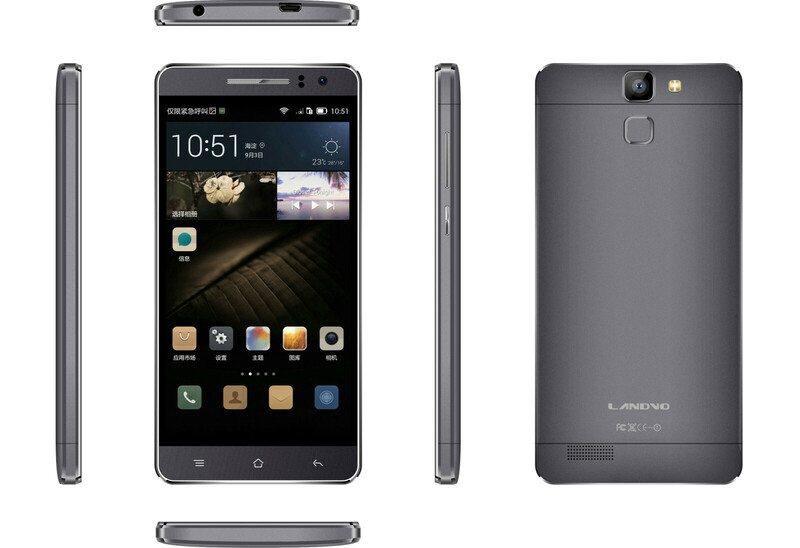 Well, turns out that the"leaked" handset wasn't a Huawei-made one, but a device from the unknown company Landvo – the model is called L600S and is a midrange class device, with a 64-bit MediaTek 6732L SoC, 1 GB of RAM, a 720p 5-inch display, and 13 MP / 5 MP camera combo. And yes, its back looks a lot like a shrunken version of the Mate7 phablet. Fret not, however, as the Mate7 Compact is not a dead dream yet. New leaks reveal a new device, which is said to be the 4.7” version of Huawei's large-screened flagship. Curiously, the images show that it will not have a visible finger print scanning plaque on its back, however, the sensor will be still present and active, neatly tucked away under a “transparent” spot in the phone's chassis, located in the familiar area, just below the camera. There are still absolutely no leaks on the type of hardware the handset would sport, aside from the 4.7" screen diagonal. Speculation suggests that the “Compact” moniker may indicate that it would have a pretty similar setup to what the Mate7 has on board, only in a smaller package – just like Sony does with the Xperia Z1 Compact and Xperia Z3 Compact. However, seeing as nowadays manufacturers strive to pump out 64-bit handsets, we'd wager a guess that, if a Mate7 Compact were to see the light of day, it would probably carry a 64-bit CPU under its hood, even if it's one that's slightly less powerful than the Kirin 925. I guess Hauwei is testing for under cover fingerprint recognition. Fingerprint sensor module is placed under the case along side an area that offers the possibility to use touch gestures. Probably would have used sensor of Swedish company FPC(Fingerprint Cards AB.) and module of Korea company CrucialTec.